IKEA, the famous furniture retailer, is not quite as ubiquitous in Japan as it is in Western Europe. Being an avid IKEA fan, I went through some withdrawal when I was living in Japan. Living in the Nagoya area, the nearest IKEAs were in Tokyo and Osaka. That is very far away to just buy a set of bookshelves. My IKEA withdrawal became very apparent when, early on in my stay, I found an IKEA catalogue on sale in a local convenience store. I was completely over the moon. But of course finding the catalogue that didn’t solve the problem of having no IKEA near where I lived. I was therefore forced to look for alternatives. Fortunately I found two very good alternatives in my area. The first one is NITORI. Their furniture is clearly inspired by IKEA, but they also offer a lot of typically Japanese items like futon and Japanese cooking utensils. Although the quality of NITORI isn’t always that great, the prices are low so their price-quality ratio is actually pretty good. The other alternative to IKEA that I found in Japan is MUJI. 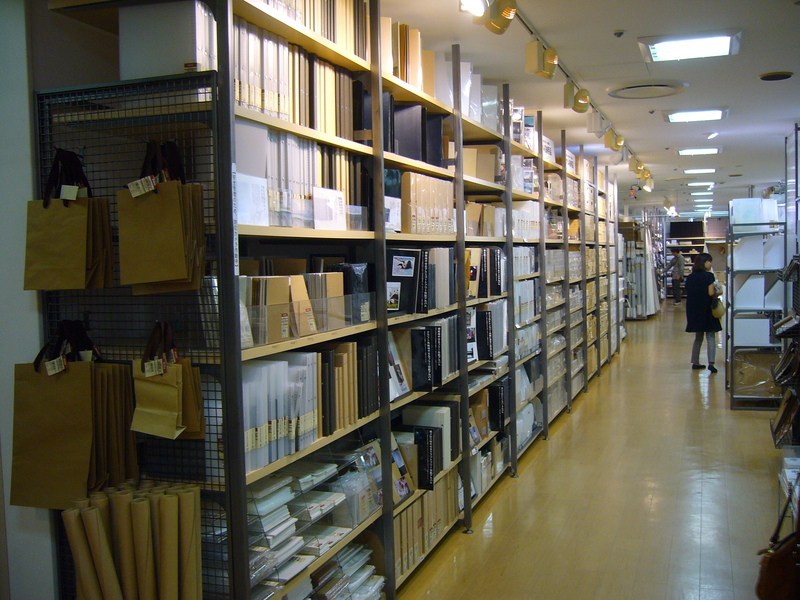 MUJI is a great shop with furniture, things for the home and even clothing, stationary and food. I have come to love MUJI almost as much as IKEA. Who would have thought?! MUJI has a very natural style which appeals to me a lot. In fact, the word ‘muji’ means ‘plain, without pattern’ in Japanese. I find their simple style to be very ‘wabi’ (wabi means ‘the beauty to be found in simplicity, quiet refinement’) and therefore very Japanese. The quality of items at MUJI is a lot better than NITORI, and even better than IKEA, but prices are according. 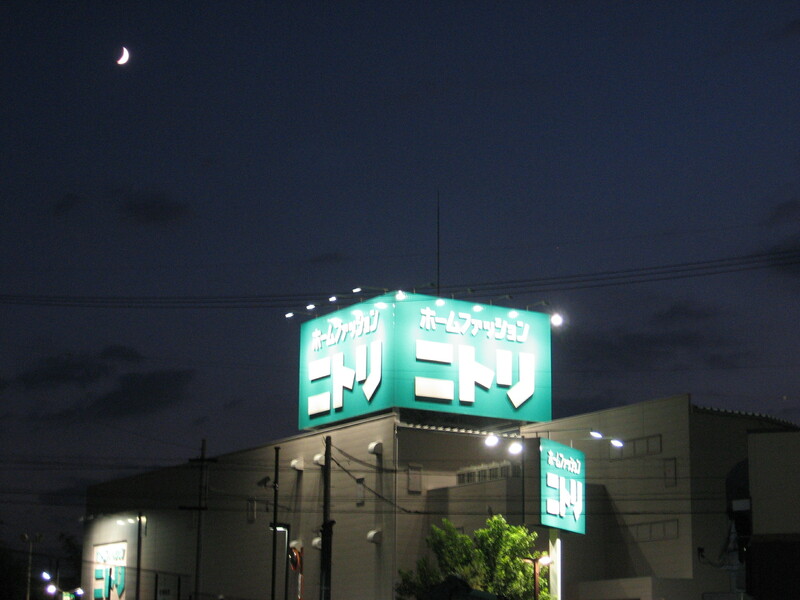 The MUJI logo, with both romaji and Japanese writing. 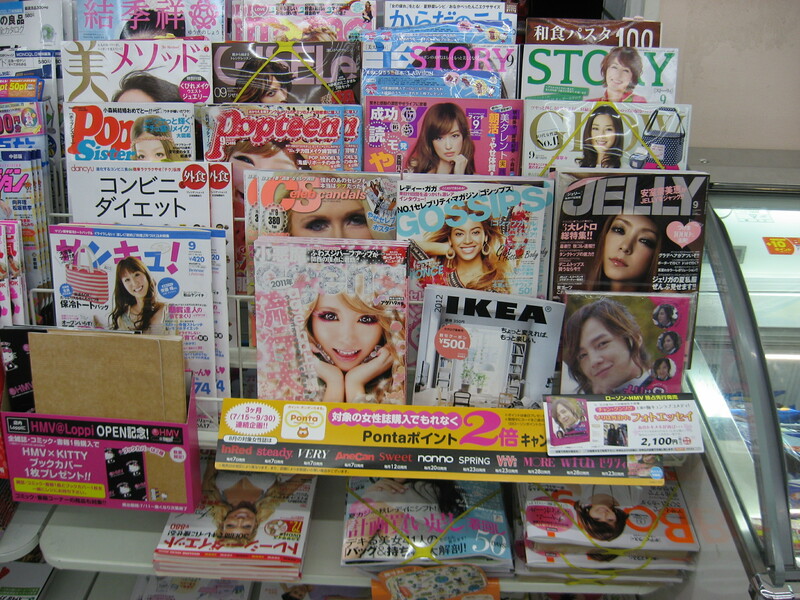 Both writings are used in both Japanese stores and abroad. 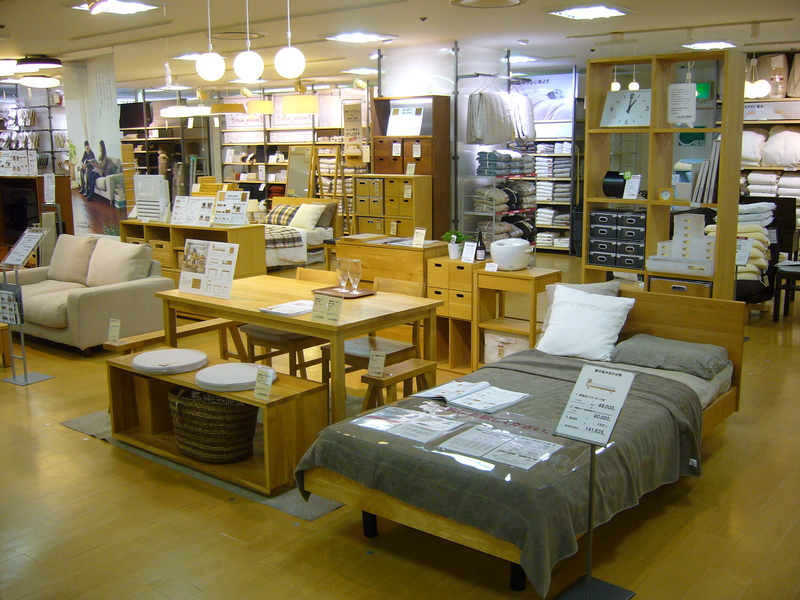 MUJI furniture. All very clean and organic looking. I love it! Now that I am back in Belgium, where the IKEAs are plentiful, I am going through MUJI withdrawal. How ironic! There used to be a MUJI in Belgium at one point, but for reasons unknown to me, it is no longer here. There are MUJIs in the UK, France and Germany, but again, that is a long way to go just to visit a shop. I do hope MUJI opens a store in Belgium again in the near future! 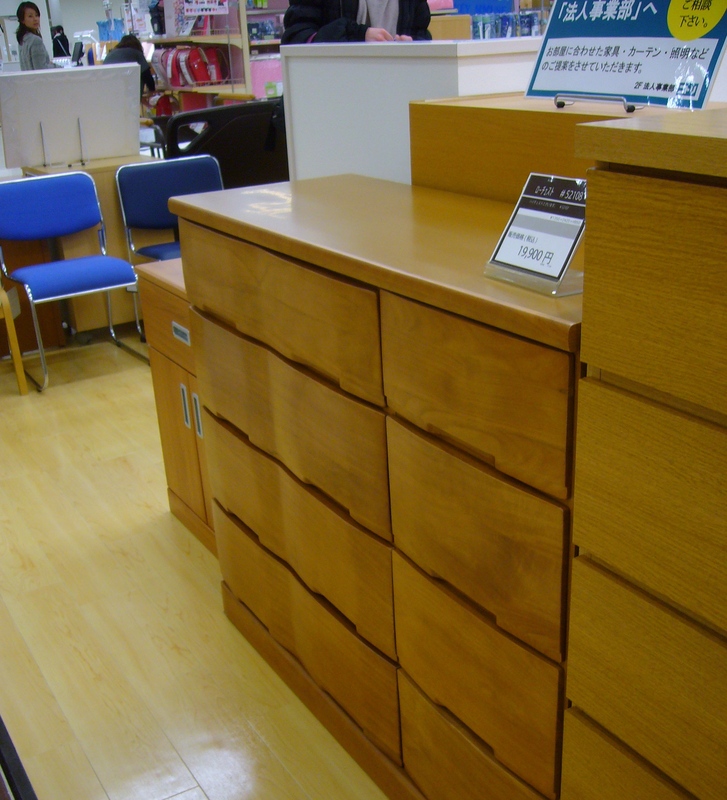 This entry was posted in Japan and tagged Furniture, Furniture shopping in Japan, IKEA, Japanese style, MUJI, NITORI, Shopping, wabi, wabi style by Haruko-chan. Bookmark the permalink. yes. i too love muji. they have opened branches here where i live. unfortunately, being it an imported brand, the stuff they have are very expensive. so much so, they they have closed down many of them with only 1 or 2 left in the city. Yes, even in Japan it is a bit expensive. There used to be one in Belgium but it closed again. I wonder if it was for the same reason. I understand about MUJI withdrawal! I really love their goods, which are high quality, and even though they are expensive I think it’s well worth it. My friend who lives in Tokyo loves IKEA for everything from furniture to children’s books, but it’s difficult if IKEA is not nearby. 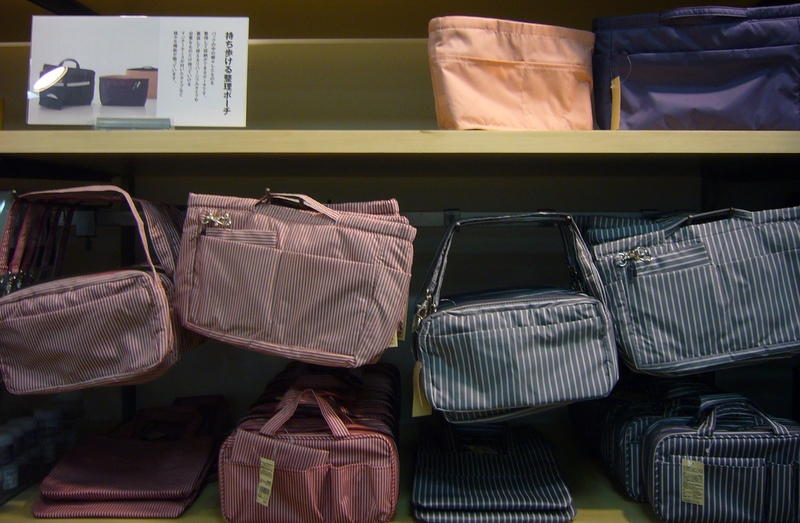 MUJI, however, is almost everywhere in Japan. There is no IKEA near my town in the US, so I don’t have the craze for IKEA that many of my friends do. I could have things shipped, but I don’t want to pay shipping fees. 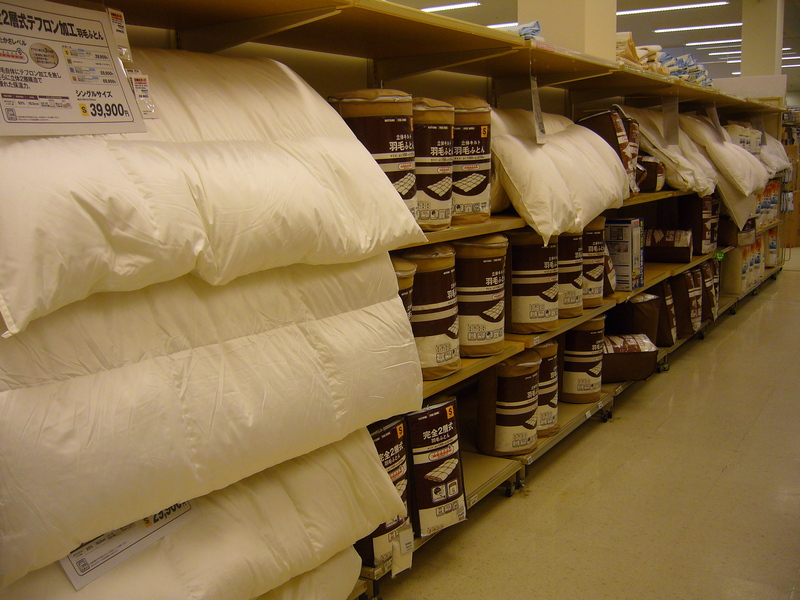 I’d rather have a MUJI nearby than an IKEA, but they aren’t very common in the US yet. I hope MUJI becomes a more global non-brand brand! Maybe for some Japanese people, like your Tokyo friend, IKEA is quite exotic with its Scandinavian style and therefore very appealing? As I grow older, I do tend to lean more towards paying a bit more for better quality. So maybe if I had a MUJI nearby, I would also prefer it to IKEA. I also hope they will branch out more globally! I love Muji! Especially all their boxes for organising stuff and their stationery! I love their organizers too! They are a lot more sturdy than IKEA organizers. And beautiful to boot! I think they started using the name “Muji” when they decided to market overseas. We always used to, and still do to a certain extent, know it as “Mujirushi Ryohin” meaning “good things without a brand” but in fact they became kind of a “brand”.